my water filter broke a while ago and i started giving the hogs tap water.roughly the same time they developed stomach aches,i've never had hogs with stomach ache before now. do you think that theres maybe something in the water thats affecting them as a few months age there was a bug outbreak in the tap water supply ? It may depend where you live. There have never been water bug out breaks here. I have always fed my Hedgehogs normal tap water, the same as what we drink from. There have never been any problems with this at all. Hedgehogs in the wild will drink rain water, sometimes it may have all sorts swimming around in it. If you can give your Hedgehogs filtered water, then that is great, it is more pure. But then again, tap water is not really much harm at all. If you are worried about the water being un-pure then you can always heat it up with the Kettle or with a saucepan and then let is cool down again. If they have stomach aches then check if they have been eating anything they should not have. When I accidently fed mine a gravy based cat food, it did not agree with them. I feed mine outside tap water and they, most of the time, seem fine with it. But it is a good idea filtering it! Will try that out. 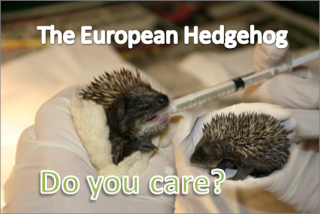 It seems we want our Hedgehogs more and more clean! The lucky devils. I sometimes use natural rain water for the Hedgehogs. Nothing happened then. Nor did anything happen when I used tap water? Interesting you should mention this though. i always thought rainwater would be more natural for them. managed to fix filter,so will see if they get less bellyache over the next few days. That is good to hear. I hope it all goes well. I give mine tap water and she seems fine - not that she seems to drink much which I am assuming is because the food she eats is in gravy so doesn't need water so much. Gravy? I was tolld that it gives them stomach upsets, it certainly gave mine them, along with the fish based food too. I have tried her on some different foods, so far she has only eaten cat food in gravy and raw chicken. Wow. I guess if they eat it then you have to give it to them. I have fed mine gravy, some of them liked it and some of them have not. Fussy or what? I feed mine tap water, so far I have not noticed much wrong with it, but I agree, it is till best to filter it. » How much water per square foot?